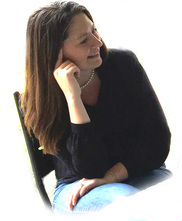 Mandy Schoen is a freelance fiction editor specializing in young adult, new adult, and adult romance, thriller, and fantasy. She spent 4 years as a senior editor with Swoon Romance (YA, NA and Adult Romance) and Month9Books, LLC (YA and MG Speculative Fiction). When she isn't reading or editing, she's usually spending time with her family. She lives in the Midwest with her husband and dog in a house full of books.